The article was published on September 12 and 13 (August 30 and 31), 1917, in the newspaper Rabochy Nos. 8 and 9. The Afterword was published in 1917 in the pamphlet: N. Lenin, Lessons of the Revolution, Priboi Publishers. Lenin Collected Works, Volume 25, pages 227-243. Every revolution means a sharp turn in the lives of a vast number of people. Unless the time is ripe for such a turn, no real revolution can take place. And just as any turn in the life of an individual teaches him a great deal and brings rich experience and great emotional stress, so a revolution teaches an entire people very rich and valuable lessons in a short space of time. During a revolution, millions and tens of millions of people learn in a week more than they do in a year of ordinary, somnolent life. For at the time of a sharp turn in the life of an entire people it becomes particularly clear what aims the various classes of the people are pursuing, what strength they possess, and what methods they use. Every class-conscious worker, soldier and peasant should ponder thoroughly over the lessons of the Russian revolution, especially now, at the end of July, when it is clear that the first phase of our revolution has failed. Let us see, in fact, what the workers and peasants were striving for when they made the revolution. What did they expect of the revolution? As we know, they expected liberty, peace, bread and land. But what do we see now? Instead of liberty, the old tyranny is coming back. The death penalty is being introduced for the soldiers at the front. Peasants are prosecuted for the unauthorised seizure of landed estates. Printing presses of workers’ newspapers are wrecked. Workers’ newspapers are closed down without trial. Bolsheviks are arrested, often without any charge or upon blatantly trumped-up charges. It may be argued that the persecution of Bolsheviks does not constitute a violation of freedom, for only certain individuals are being prosecuted and on certain charges. Such an argument, however, would be a deliberate and obvious lie; for how can anyone wreck printing presses and close down newspapers for the crimes of individuals, even if these charges were proved and established by a court of law? It would be a different thing if the government had legally declared the whole party of the Bolsheviks, their very trend and views, to be criminal. But everybody knows that the government of free Russia could not, and did not, do anything of the kind. What chiefly exposes the libelous character of the charges against the Bolsheviks is that the newspapers of the landowners and capitalists furiously abused the Bolsheviks for their struggle against the war and against the landowners and capitalists, and openly demanded the arrest and prosecution of the Bolsheviks even when not a single charge against a single Bolshevik had been trumped up. The people want peace. Yet the revolutionary government of free Russia has resumed the war of conquest on the basis of those very same secret treaties which ex-Tsar Nicholas II concluded with the British and French capitalists so that the Russian capitalists might plunder other nations. Those secret treaties remain unpublished. The government of free Russia resorted to subterfuges, and to this day has not proposed a just peace to all nations. There is no bread. Famine is again drawing near. Everybody sees that the capitalists and the rich are unscrupulously cheating the treasury on war deliveries (the war is now costing the nation fifty million rubles daily), that they are raking in fabulous profits through high prices, while nothing whatsoever has been done to establish effective control by the workers over the production and distribution of goods. The capitalists are becoming more brazen every day; they are throwing workers out into the street, and this at a time when the people are suffering from shortages. A vast majority of the peasants, at congress after congress, have loudly and clearly declared that landed proprietorship is an injustice and robbery. Meanwhile, a government which calls itself revolutionary and democratic has been leading peasants by the nose for months and deceiving them by promises and delays. For months the capitalists did not allow Minister Chernov to issue a law prohibiting the purchase and sale of land. And when this law was finally passed, the capitalists started a foul slander campaign against Chernov, which they are still continuing. The government has become so brazen in its defense of the landowners that it is beginning to bring peasants to trial for “unauthorised” seizures of land. They are leading the peasants by the nose, telling them to wait for the Constituent Assembly. The convocation of the Assembly, however, is being steadily postponed by the capitalists. Now that owing to Bolshevik pressure it has been set for September 30, the capitalists are openly clamouring about this being “impossibly” short notice, and are demanding the Constituent Assembly’s postponement. The most influential members of the capitalist and landowner party, the “Cadet”, or "people’s freedom", Party, such as Panina, are openly urging that the convocation of the Constituent Assembly be delayed until after the war. As to land, wait until the Constituent Assembly. As to the Constituent Assembly, wait until the end of the war. As to the end of the war, wait until complete victory. That is what it comes to. The capitalists and landowners, having a majority in the government, are plainly mocking at the peasants. But how could this happen in a free country, after the overthrow of the tsarist regime? In a non-free country, the people are ruled by a tsar and a handful of landowners, capitalists and bureaucrats who are not elected by anybody. In a free country, the people are ruled only by those who have been elected for that purpose by the people themselves. At the elections the people divide themselves into parties, and as a rule each class of the population forms its own party; for instance, the landowners, the capitalists, the peasants and the workers all form separate parties. In free countries, therefore, the people are ruled through an open struggle between parties and by free agreement between these parties. For about four months after the overthrow of the tsarist regime on February 27, 1917, Russia was ruled as a free country, i.e., through an open struggle between freely formed parties and by free agreement between them. To understand the development of the Russian revolution, therefore, it is above all necessary to study the chief parties, the class interests they defended, and the relations among them all. After the overthrow of the tsarist regime state power passed into the hands of the first Provisional Government, consisting of representatives of the bourgeoisie, i.e., the capitalists, who were joined by the landowners. The “Cadet” Party, the chief capitalist party, held pride of place as the ruling and government party of the bourgeoisie. It was no accident this party secured power, although it was not the capitalists, of course, but the workers and peasants, the soldiers and sailors, who fought the tsarist troops and shed their blood for liberty. Power was secured by the capitalist party because the capitalist class possessed the power of wealth, organisation and knowledge. Since 1905, and particularly during the war, the class of the capitalists, and the landowners associated with them, have made in Russia the greatest progress in organising. The Cadet Party has always been monarchist, both in 1905 and from 1905 to 1917. After the people’s victory over tsarist tyranny it proclaimed itself a republican party. The experience of history shows that whenever the people triumphed over a monarchy, capitalist parties were willing to become republican as long as they could uphold the privileges of the capitalists and their unlimited power over the people. The Cadet Party pays lip-service to "people’s freedom". But actually it stands for the capitalists, and it was immediately backed by all the landowners, monarchists and Black Hundreds. The press and the elections are proof of this. After the revolution, all the bourgeois papers and the whole Black Hundred press began to sing in unison with the Cadets. Not daring to come out openly, all the monarchist parties supported the Cadet Party at the elections, as, for example, in Petrograd. Having obtained state power, the Cadets made every effort to continue the predatory war of conquest begun by Tsar Nicholas II, who had concluded secret predatory treaties with the British and French capitalists. Under these treaties, the Russian capitalists were promised, in the event of victory, the seizure of Constantinople, Galicia, Armenia, etc. As to the people, the government of the Cadets put them off with empty subterfuges and promises, deferring the decision of all matters of vital and essential importance to the workers and peasants until the Constituent Assembly met, without appointing the date of its convocation. Making use of liberty, the people began to organise independently. The chief organisation of the workers and peasants, who form the overwhelming majority of the population of Russia, was the Soviets of Workers’, Soldiers’ and Peasants’ Deputies. These Soviets already began to be formed during the February Revolution, and within a few weeks all class-conscious and advanced workers and peasants were united in Soviets in most of the larger cities of Russia and in many rural districts. The Soviets were elected in an absolutely free way. They were genuine organisations of the people, of the workers and peasants. They were genuine organisations of the vast majority of the people. The workers and peasants in soldiers’ uniforms were armed. It goes without saying that the Soviets could and should have taken over state power in full. Pending the convocation of the Constituent Assembly there should have been no other power in the state but the Soviets. Only then would our revolution have become a truly popular and truly democratic revolution. Only then could the working people, who are really striving for peace, and who really have no interest in a war of conquest, have begun firmly and resolutely to carry out a policy which would have ended the war of conquest and led to peace. Only then could the workers and peasants have curbed the capitalists, who are making fabulous profits “from the war" and who have reduced the country to a state of ruin and starvation. But in the Soviets only a minority of the deputies were on the side of the revolutionary workers’ party, the Bolshevik Social Democrats, who demanded that all state power should be transferred to the Soviets. The majority of the deputies to the Soviets were on the side of the parties of the Menshevik Social-Democrats and the Socialist-Revolutionaries, who were opposed to the transfer of power to the Soviets. Instead of removing the bourgeois government and replacing it by a government of the Soviets, these parties insisted on supporting the bourgeois government, compromising with it and forming a coalition government with it. This policy of compromise with the bourgeoisie pursued by the Socialist-Revolutionary and Menshevik parties, who enjoyed the confidence of the majority of the people, is the main content of the entire course of development of the revolution during the five months since it began. Let us first see how this compromising of the Socialist-Revolutionaries and Mensheviks with the bourgeoisie proceeded, and then let us try to explain why the majority of the people trusted them. The Mensheviks and Socialist-Revolutionaries have compromised with the capitalists in one way or another at every stage of the Russian revolution. At the very close of February 1917, as soon as the people had triumphed and the tsarist regime had been overthrown, the capitalist Provisional Government admitted Kerensky as a “socialist”. As a matter of fact, Kerensky has never been a socialist; he was only a Trudovik, and he enlisted himself with the “Socialist-Revolutionaries” only in March 1917, when it was already safe and quite profitable to do so. Through Kerensky, as Deputy Chairman of the Petrograd Soviet, the capitalist Provisional Government immediately set about gaining control of and taming the Soviet. The Soviet, i.e., the Socialist-Revolutionaries and Mensheviks who predominated in it, allowed itself to be tamed, agreeing immediately after the formation of the capitalist Provisional Government to "support it" – "to the extent" that it carried out its promises. The Soviet regarded itself as a body verifying and exercising control over the activities of the Provisional Government. The leaders of the Soviet established what was known as a Contact Commission to keep in touch with the government. Within that Contact Commission, the Socialist-Revolutionary and Menshevik leaders of the Soviet held continuous negotiations with the capitalist government, holding, properly speaking, the status of Ministers without portfolio or unofficial Ministers. This state of affairs lasted throughout March and almost the whole of April. Seeking to gain time, the capitalists resorted to delays and subterfuges. Not a single step of any importance to further the revolution was taken by the capitalist government during this period. It did absolutely nothing even to further its direct and immediate task, the convocation of the Constituent Assembly; it did not submit the question to the localities or even set up a central commission to handle the preparations. The government was concerned with only one thing, namely, surreptitiously renewing the predatory international treaties concluded by the tsar with the capitalists of Britain and France, thwarting the revolution as cautiously and quietly as possible, and promising everything without fulfilling any of its promises. The Socialist-Revolutionaries and Mensheviks in the Contact Commission acted like simpletons who were fed on fancy phrases, promises, and more promises. Like the crow in the fable, the Socialist-Revolutionaries and Mensheviks succumbed to flattery and listened with pleasure to the assurances of the capitalists that they valued the Soviets highly and did not take a single step without them. But time passed and the capitalist government did absolutely nothing for the revolution. On the contrary, during this period it managed, to the detriment of the revolution, to renew the secret predatory treaties, or, rather, to reaffirm them and “vitalise” them by supplementary and no less secret negotiations with Anglo-French imperialist diplomats. During this period it managed, to the detriment of the revolution, to lay the foundations of a counter-revolutionary organisation of (or at least of a rapprochement among) the generals and officers in the army in the field. To the detriment of the revolution it managed to start the organisation of industrialists, of factory-owners, who, under the onslaught of the workers, were compelled to make concession after concession, but who at the same time began to sabotage (damage) production and prepare to bring it to a standstill when the opportunity came. However, the organisation of the advanced workers and peasants in the Soviets made steady progress. The foremost representatives of the oppressed classes felt that, in spite of the agreement between the government and the Petrograd Soviet, in spite of Kerensky’s pompous talk, in spite of the "Contact Commission", the government remained an enemy of the people, an enemy of the revolution. The people felt that unless the resistance of the capitalists was broken, the cause of peace, liberty and the revolution, would inevitably be lost. The impatience and bitterness of the people kept on growing. It burst out on April 20–21. The movement flared up spontaneously; nobody had cleared the ground for it. The movement was so markedly directed against the government that one regiment even appeared fully armed at the Marinsky Palace to arrest the ministers. It became perfectly obvious to everybody that the government could not retain power. The Soviets could (and should) have taken over power with out meeting the least resistance from any quarter. Instead, the Socialist-Revolutionaries and Mensheviks supported the collapsing capitalist government, entangled themselves even further in compromises with it and took steps that were even more fatal to the revolution, that tended to lead to its doom. Revolution enlightens all classes with a rapidity and thoroughness unknown in normal, peaceful times. The capitalists, better organised and more experienced than anybody else in matters of class struggle and politics, learnt their lesson quicker than the others. Realising that the government’s position was hopeless, they resorted to a method which for many decades, ever since 1848, has been practised by the capitalists of other countries in order to fool, divide and weaken the workers. This method is known as a “coalition” government, i.e., a joint cabinet formed of members of the bourgeoisie and turncoats from socialism. In countries where freedom and democracy have long existed side by side with a revolutionary labour movement, in Britain and France, the capitalists have repeatedly and very successfully resorted to this method. When the “socialist” leaders entered a bourgeois cabinet, they invariably proved to be figureheads, puppets, screens for the capitalists, instruments for deceiving the workers. The "democratic and republican" capitalists of Russia resorted to this very method. The Socialist-Revolutionaries and Mensheviks let themselves be fooled at once, and the “coalition” cabinet, joined by Chernov, Tsereteli and Co., became a fact on May 6. The simpletons of the Socialist-Revolutionary and Menshevik parties were jubilant and fatuously bathed in the rays of the ministerial glory of their leaders. The capitalists gleefully rubbed their hands at having found helpers against the people in the persons of the "leaders of the Soviets" and at having secured their promise to support "offensive operations at the front", i.e., a resumption of the imperialist predatory war, which had come to a standstill for a while. The capitalists were well aware of the puffed-up impotence of these leaders, they knew that the promises of the bourgeoisie – regarding control over production, and even the organisation of production, regarding a peace policy, and so forth – would never be fulfilled. And so it turned out. The second phase in the development of the revolution, May 6 to June 9, or June 18, fully corroborated the expectations of the capitalists as to the ease with which the Socialist-Revolutionaries and Mensheviks could be fooled. While Peshekhonov and Skobelev were deceiving themselves and the people with florid speeches to the effect that one hundred per cent of the profits of the capitalists would be taken away from them, that their "resistance was broken", and so forth, the capitalists continued to consolidate their position. Nothing, absolutely nothing, was undertaken during this period to curb the capitalists. The ministerial turncoats from socialism proved to be mere talking machines for distracting the attention of the oppressed classes, while the entire apparatus of state administration actually remained in the hands of the bureaucracy (the officialdom) and the bourgeoisie. The notorious Palchinsky, Deputy Minister for Industry, was a typical representative of that apparatus, blocking every measure against the capitalists. While the ministers prated everything remained as of old. The bourgeoisie used Minister Tsereteli in particular to fight the revolution. He was sent to “pacify” Kronstadt when the local revolutionaries had the audacity to remove an appointed commissar. The bourgeoisie launched in their newspapers an incredibly vociferous, violent and vicious campaign of lies, slander and vituperation against Kronstadt, accusing it of the desire "to secede from Russia", and repeating this and similar absurdities in a thousand ways to intimidate the petty bourgeoisie and the philistines. A most typically stupid and frightened philistine, Tsereteli, was the most “conscientious” of all in swallowing the bait of bourgeois slander; he was the most zealous of all in "smashing up and subduing" Kronstadt, without realising that he was playing the role of a lackey of the counter-revolutionary bourgeoisie. He turned out to be the instrument of the “compromise” arrived at with revolutionary Kronstadt, whereby the commissar for Kronstadt was not simply appointed by the government, but was elected locally and was confirmed by the government. It was on such miserable compromises that the ministers who had deserted socialism for the bourgeoisie wasted their time. Wherever a bourgeois minister could not appear in defence of the government, before the revolutionary workers or in the Soviets, Skobelev, Tsereteli, Chernov or some other “socialist” Minister appeared (or, to be precise, was sent by the bourgeoisie) and faithfully performed their assignment; he would do his level best to defend the Cabinet, whitewash the capitalists and fool the people by making promise after promise and by advising people to wait, wait and wait. Minister Chernov particularly was engaged in bargaining with his bourgeois colleagues; down to July, to the new "crisis of power" which began after the movement of July 3-4, to the resignation of the Cadets from the Cabinet, Minister Chernov was continuously engaged in the useful and interesting work, so beneficial to the people, of “persuading” his bourgeois colleagues, exhorting them to agree at least to prohibition of the purchase and sale of land. This prohibition had been most solemnly promised to the peasants at the All-Russia Congress of Peasant Deputies in Petrograd. But the promise remained only a promise. Chernov proved unable to fulfil it either in May or in June, until the revolutionary tide, the spontaneous outbreak of July 3-4, which coincided with the resignation of the Cadets from the Cabinet, made it possible to enact this measure. Even then, however, it proved to be an isolated measure, incapable of promoting to any palpable extent the struggle of the peasants against the landowners for land. Meanwhile, at the front, the counter-revolutionary, imperialist task of resuming the imperialist, predatory war, a task which Guchkov, so hated by the people, had been unable to accomplish, was being accomplished successfully and brilliantly by the "revolutionary democrat" Kerensky, that new-baked member of the Socialist-Revolutionary Party. He revelled in his own eloquence, incense was burned to him by the imperialists, who were using him as a pawn, he was flattered and worshipped – all because he served the capitalists faithfully, trying to talk the "revolutionary troops" into agreeing to resume the war being waged in pursuance of the treaties concluded by Tsar Nicholas II with the capitalists of Britain and France, a war waged so that Russian capitalists might secure Constantinople and Lvov, Erzurum and Trebizond. So passed the second phase of the Russian revolution – May 6 to June 9. Shielded and defended by the “socialist” Ministers, the counter-revolutionary bourgeoisie grew in strength, consolidated their position and prepared an offensive both against the external enemy and against the internal enemy, i.e., the revolutionary workers. On June 9, the revolutionary workers’ party, the Bolsheviks, was preparing for a demonstration in Petrograd to give organised expression to the irresistibly growing popular discontent and indignation. The Socialist-Revolutionary and Menshevik leaders, entangled in compromises with the bourgeoisie and bound by the imperialist policy of an offensive, were horrified, feeling that they were losing their influence among the masses. A general howl went up against the demonstration, and the counter-revolutionary Cadets joined in this howl, this time together with the Socialist-Revolutionaries and Mensheviks. Under their direction, and as a result of their policy of compromise with the capitalists, the swing of the petty-bourgeois masses to an alliance with the counter-revolutionary bourgeoisie became quite definite and strikingly obvious. This is the historical significance and class meaning of the crisis of June 9. The Bolsheviks called off the demonstration, having no wish to lead the workers at that moment into a losing fight against the united Cadets, Socialist-Revolutionaries and Mensheviks. The latter, however, so as to retain at least a vestige of the people’s confidence, were compelled to call a general demonstration for June 48. The bourgeoisie were beside themselves with rage, rightly discerning in this a swing of the petty-bourgeois democrats towards the proletariat, and they decided to paralyse the action of the democrats by an offensive at the front. In fact, June 18 was marked by an impressive victory for the slogans of the revolutionary proletariat, the slogans of Bolshevism, among the people of Petrograd. And on June 19 the bourgeoisie and the Bonapartist Kerensky solemnly announced that the offensive at the front had begun on June 18. The offensive meant in effect the resumption of the predatory war in the interests of the capitalists and against the will of the vast majority of the working people. That is why the offensive was inevitably accompanied, on the one hand, by a gigantic growth of chauvinism and the transfer of military power (and consequently of state power) to the military gang of Bonapartists, and, on the other, by the use of violence against the masses, the persecution of the inter nationalists, the abolition of freedom of agitation, and the arrest and 9hooting of those who were against the war. Whereas May 6 bound the Socialist-Revolutionaries and Mensheviks to the triumphal chariot of the bourgeoisie with a rope, June 19 shackled them, as servants of the capitalists, with a chain. Owing to the resumption of the predatory war, the bitterness of the people naturally grew even more rapidly and intensely. July 3–4 witnessed an outburst of their anger which the Bolsheviks attempted to restrain and which, of course, they had to endeavour to make as organised as possible. The Socialist-Revolutionaries and Mensheviks, being slaves of the bourgeoisie, shackled by their master, agreed to everything: dispatching reactionary troops to Petrograd, bringing back the death penalty, disarming the workers and revolutionary troops, arresting and hounding, and closing down newspapers without trial. The power which the bourgeoisie in the government were unable to take entirely, and which the Soviets did not want to take, fell into the hands of the military clique, the Bonapartists, who, of course, were wholly backed by the Cadets and the Black Hundreds, by the landowners and capitalists. Down the ladder, step by step. Having once set foot on the ladder of compromise with the bourgeoisie, the Socialist Revolutionaries and Mensheviks slid irresistibly downwards, to rock bottom. On February 28, in the Petrograd Soviet, they promised conditional support to the bourgeois government. On May 6 they saved it from collapse and allowed themselves to be made its servants and defenders by agreeing to an offensive. On June 9 they united with the counter revolutionary bourgeoisie in a campaign of furious rage, lies and slander against the revolutionary proletariat. On June 19 they approved the resumption of the predatory war. On July 3 they consented to the summoning of reactionary troops, which was the beginning of their complete surrender of power to the Bonapartists. Down the ladder, step by step. This shameful finale of the Socialist-Revolutionary and Menshevik parties was not fortuitous but a consequence of the economic status of the small owners, the petty bourgeoisie, as has been repeatedly borne out by experience in Europe. Everybody, of course, has seen the small owner bend every effort and strain every nerve to "get on in the world", to become a real master, to rise to the position of a “strong” employer, to the position of a bourgeois. As long as capitalism rules the roost, there is no alternative for the small owner other than becoming a capitalist (and that is possible at best in the case of one small owner out of a hundred), or becoming a ruined man, a semi-proletarian, and ultimately a proletarian. The same is true in politics: the petty-bourgeois democrats, especially their leaders, tend to trail after the bourgeoisie. The leaders of the petty-bourgeois democrats console their people with promises and assurances about the possibility of reaching agreement with the big capitalists; at best, and for a very brief period, they obtain certain minor concessions from the capitalists for a small upper section of the working people; but on every decisive issue, on every important matter, the petty-bourgeois democrats have always tailed after the bourgeoisie as a feeble appendage to them, as an obedient tool in the hands of he financial mangates. The experience of Britain and France has proved this over and over again. The experience of the Russian revolution from February to July 1917, when events developed with unusual rapidity, particularly under the influence of the imperialist war and the deep-going crisis brought about by it, has most strikingly and palpably confirmed the old Marxist truth that the position of the petty bourgeoisie is unstable. The lesson of the Russian revolution is that there can be no escape for the working people from the iron grip of war, famine, and enslavement by the landowners and capitalists unless they completely break with the Socialist-Revolutionary and Menshevik parties and clearly understand the latter’s treacherous role, unless they renounce all compromises with the bourgeoisie and resolutely side with the revolutionary workers. Only the revolutionary workers, if supported by the peasant poor, are capable of smashing the resistance of the capitalists and leading the people in gaining land with out compensation, complete liberty, victory over famine and the war, and a just and lasting peace. This article was written at the end of July, as is apparent from the text. The history of the revolution during August has fully corroborated what is said in this article. Then, at the end of August, the Kornilov revolt caused a new turn in the revolution by clearly demonstrating to the whole people that the Cadets, in alliance with the counter-revolutionary generals, were striving to disband the Soviets and restore the monarchy. The near future will show how strong this new turn of the revolution is, and whether it will succeed in putting an end to the fatal policy of compromise with the bourgeoisie. On July 12 (25) the Provisional Government introduced capital punishment at the front. The divisional “military revolutionary tribunals” that were set up passed sentences which became effective immediately and were executed without delay. The Trudoviks (Trudovik group) were a Duma group of petty-bourgeois democrats—peasants and intellectuals with Narodnik leanings. The group was formed by the peasant Deputies to the First Duma in April 1906. In the Duma it wavered between the Cadets and the revolutionary Social-Democrats. During the First World War most of the Trudoviks adhered to a social-chauvinist position. After the February revolution the Trudoviks, expressing the interests of the kulaks, actively supported the Provisional Government. Their reaction to the October Revolution was hostile and they took part in the counter-revolutionary activities of the bourgeoisie. The Contact Commission was formed by decision of the compromising Executive Committee of the Petrograd Soviet on March 8 (21) to “influence” and “exercise control over” the activity of the Provisional Government. Its members were M. I. Skobelev, Y. M. Steklov, N. N. Sukhanov, V. N. Filippovsky and N. S. Chkheidze (subsequently V. M. Chernov and I. G. Tsereteli were included). The Commission helped the Provisional Government take advantage of the prestige of the Petrograd Soviet to disguise its counter-revolutionary policies. The Mensheviks and Socialist– Revolutionaries hoped with its aid to keep the people from revolutionary action aimed at effecting the transfer of power to the Soviets. The Commission was abolished in the middle of April 1917, its functions being handed over to the Executive Committee’s Bureau. On May 17 (30), 1917, in view of a conflict between the Kronstadt Soviet and Pepelayev, the Provisional Government Commissar, the non-affiliated section of the Soviet passed a resolution abolishing the office of government commissar and investing the Kronstadt Soviet with full powers. The resolution, supported by the Bolsheviks, said that the only authority in Kronstadt was the Soviet of Workers’ and Soldiers’ Deputies, which should enter into direct contact with the Petrograd Soviet of Workers’ and Soldiers’ Deputies on all matters affecting the state. The bourgeois, S.R. and Menshevik press launched a slander campaign against the people of Kronstadt and the Bolsheviks, alleging that Russia had begun to disintegrate, that a state of anarchy was in, that Kronstadt had seceded, and so on. First the Petrograd Soviet and then the Provisional Government sent delegations (Chkheidze, Gotz and others in the former case and the Ministers Skobelev and Tsereteli in the latter) to deal with the Kronstadt incident. In the Kronstadt Soviet the two Ministers succeeded in putting through a compromise decision stipulating that the commissar be elected by the Soviet and his election confirmed by the Provisional Government. A political resolution was also passed, saying that the Kronstadt Soviet recognised the authority of the Provisional Government but adding that this “recognition certainly does not rule out criticism and the desire that the revolutionary democrats should form a new central authority and transfer all power to the Soviet of Workers’ and Soldiers’ Deputies”. 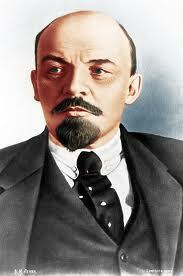 = The resolution expressed the hope that the Bolsheviks would achieve this by exerting ideological influence. It ended with an emphatic protest against attempts to attribute to the Kronstadt Bolsheviks “the intention of severing Kronstadt from the rest of Russia”. The Kornilov revolt against the revolution was organised by the bourgeoisie and landowners in August 1917. It was led by the tsarist general Kornilov, then Supreme Commander-in-Chief of the Army. The conspirators aimed at capturing Petrograd, smashing the Bolshevik Party, disbanding the Soviets, establishing a military dictatorship, and paving the way for the restoration of the monarchy. A. F. Kerensky, head of the Provisional Government, joined in the conspiracy. However, when the revolt began, ho dissociated himself from Kornilov, fearing that he might be swept away with Kornilov, and declared Kornilov to be a rebel against the Provisional Government. The revolt began on August 25 (September 7). Kornilov marched the Third Cavalry Corps against Petrograd. In Petrograd itself, the counter-revolutionary organisations of Kornilov’s backers were getting ready for action. The Bolshevik Party led the people against Kornilov as it continued, in accordance with Lenin’s recommendation, to expose the Provisional Government and its S.R. and Menshevik hangers-on. In response to the call of the Bolshevik Party’s Central Committee, the workers of Petrograd and the revolutionary soldiers and sailors rose to fight the rebels. The Petrograd workers promptly formed Red Guard units. Revolutionary committees were set up in several localities. The advance of the Kornilov troops was checked and Bolshevik propaganda began to demoralise them. The Kornilov revolt was put down by the workers and peasants under the leadership of the Bolshevik Party. Under pressure from the people, the Provisional Government had to order the arrest and trial of Kornilov and his accomplices.